There are some things you do not think about until you need them. This is true of home inspection services. Unless you work in real estate, it is easy to forget the importance of this service. It is vital to find a qualified and experienced home inspector if you are buying or selling real estate. Home inspections are typically a required part of a real estate transaction. Whether or not it is required, getting one done is in the best interest of your investment, particularly when buying. It can help you spot any structural issues with a home or building. It can also alert you to any potential problems that can develop over time. A home inspection is a visual inspection of every aspect of your home. It will assess the condition of the foundation, roof, structure, and internal systems such as the electric and plumbing. A more in-depth inspection will also look for issues like radon gas, mold, and termites. 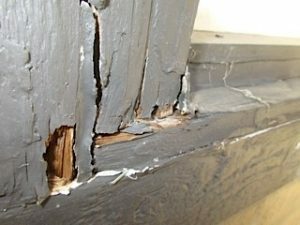 An experienced inspector will be able to detect previous issues with the home and not just potential, future issues. A good inspector will not only be experienced, they will also be certified or licensed. This is another layer of protection for your real estate investment. In the case that there are issues with the home, an experienced inspector should be able to give you a good idea of the cost of the repair. You can then arm yourself with this information when it is time to negotiate prices. An experienced inspector can spot problems that a seller might not want to disclose. It prevents a buyer from purchasing a property that is laden with costly problems that they are unaware of. Verify that your inspector has construction knowledge and experience. Many an inspector will claim they are qualified without actually understanding construction. It is impossible to accurately inspect a home without knowing what it takes to build one. A builder is better able to recognize the signs of good construction and poor construction as well as hidden problems. When selecting your service, do some research and ask for references.